NEW YORK (WABC) -- YouTube vlogger and filmmaker Casey Neistat took advantage of the extreme conditions in New York City to do something crazy! 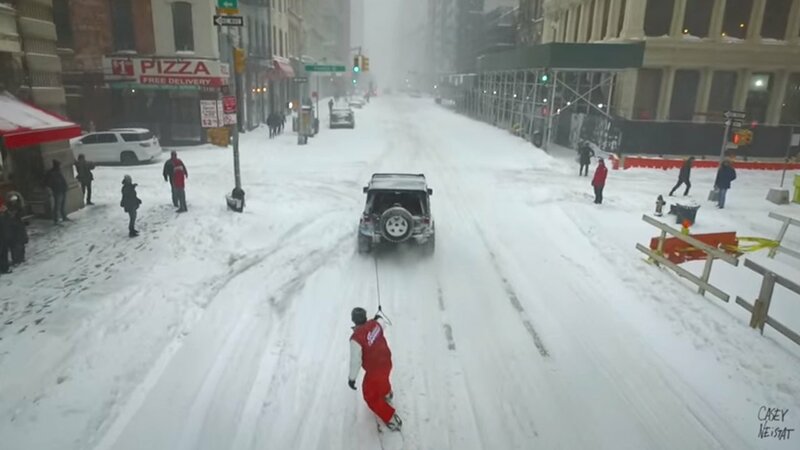 Neistat hooked up to a Jeep to go snowboarding through the streets of Manhattan, including Times Square, much to the surprise of many onlookers. The NYPD eventually spots Neistat and his crew, but you'll just have to watch to see what happens.